From the Carrera collection, this Tag Heuer watch has a quiet elegance that the confident man appreciates. The white dial is clutter free with a date window at the 3 o'clock position and luminescent markers, and an anti-reflective treatment makes this piece easy to ready. It's also scratch resistant. A stainless steel bracelet completes the look of this sleek piece. 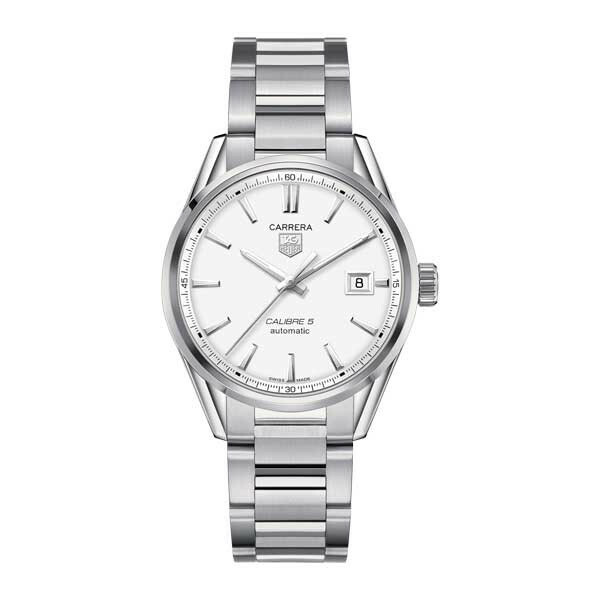 The refined, modest style of this Tag Heuer is perfect for the man who needs no adornment. JR Dunn has a 10-day satisfaction guarantee for all Tag Heuer products.